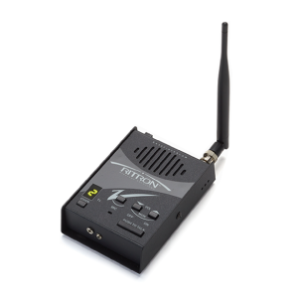 Ritron specializes in the design and manufacture of industrial-grade wireless (RF) voice, telemetry and data communication products. They offer innovative wireless solutions for the commercial, industrial, military, OEM and integrator markets. Ritron’s mission is to “go beyond normal limits” to develop and market innovative, useful and cost-effective wireless communication tools. The Quick Assist® wireless shopper callbox provides a low-cost, fast and efficient way to boost customer service, control costs and improve employee productivity. With the Quick Assist, customers and staff simply push a button when they need assistance. Your two-way radio equipped personnel are immediately alerted with a customized voice message. The Quick Assist is compatible with your existing store two-way radios and talks directly to radio-equipped personnel. It does not require any additional wireless infrastructure for operation and is the ideal solution for any business wanting to maximize customer satisfaction, product sales and employee productivity. Put DMR digital wireless communication right where you need it! Position the compact and durable DMR Series two-way radio callbox virtually anywhere to maximize manpower efficiency, improve safety and service response times. Deploys easily — no wires, no trenching, no construction required. Can be used stand-alone using alkaline batteries or can be powered using external AC adapter. 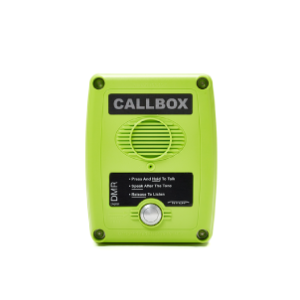 The DMR Series callbox provides crisp, clear, long range DMR digital voice communication and allows staff and visitors to communicate with your radio-equipped personnel from points near and far, be it the plant floor, a maintenance garage, the gated entrance, a delivery dock or the 9th Tee. Accomplish more with your two-way radio system! The PBS Series Ritron Wireless Intercom/Base Station is a cost-effective, AC powered, “fixed location” 2-way radio (base station). This is ideal for people who need a small radio at a desk. The desktop base station is fully compatible with any other business band radio operating in the VHF or UHF frequency band. Because the radio operates on AC power, there are never any batteries to keep charged or replace. This radio has been specifically designed for commercial and industrial-grade business applications. The all-metal enclosure provides a small, rugged, self-contained, fixed or location radio.